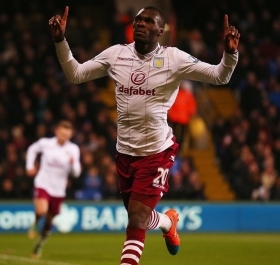 Liverpool have announced the signing of Belgian international Christian Benteke from Aston Villa on a long-term deal. The talented marksman passed a medical in London on Wednesday before agreeing personal terms with the Reds. Benteke makes his way to Anfield on the back of a good campaign with the Villains where he netted 15 goals in all competitions. The former Genk revealed his delight at getting the deal done. "I'm very happy to be here and I would like to thank the owners, Ian [Ayre] and of course the manager for their massive effort to bring me here," he told the club's official website. "I think it was the right club for me because I had a good chat with the manager and I wanted to be part of his project. I know Liverpool is a big story." Liverpool have already brought in the likes of Roberto Firmino, Joe Gomez, Danny Ings, Adam Bogdan, Nathaniel Clyne and James Milner this summer.